SPIN, SPIN, SPIN AND WIN! 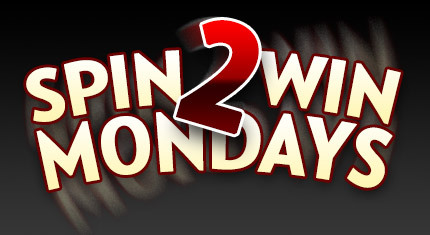 Spin at least 1,000 spins of €/$/£ .75 or higher on any slots until 23:59GMT on Monday’s August 17, 24 or 31st and you are GUARANTEED €/$/£ 10-100 cash prize from our random prize draw. You’re guaranteed to win every week! * Prizes paid within 48 hours after conclusion of gaming day. 110% Bonus on Sunday from 00:00GMT until 23:59 GMT, all members on their first deposit of $/£/€30 or more will receive a 110% deposit bonus up to 110.00. PowerCash Thursday! From 00:00GMT until 23:59 GMT, all members are invited to receive a 135% bonus up to 270.00 on your first three deposits of $/£/€ 20 or more.